What if the worst thing in your life happens and nobody believes you? 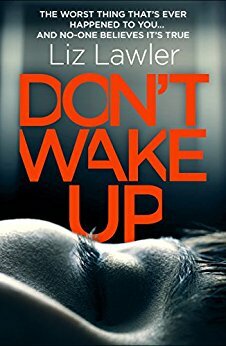 Don't wake up follows Dr Alex Taylor a doctor in the A and E department in a hospital in Bath. Life is going well for Alex, she loves her job she has a loving boyfriend who she suspects is going to propose soon, she has a great house all in all life is good. Then one night after she finishes her shift at work her whole life changes. Alex is abducted, she wakes up on a operating table, naked and unable to move. She sees what looks like a man in doctors scrubs in the room with her, at first she thinks she's been in an accident and something has happened to her. It soon becomes clear this is not the case. With this man threatening to do terrible things to her including stapling her mouth shut if she doesn't shut up. The man ask Alex "What does No mean?" Fearing for her life Alex answers No means Yes. the next thing Alex knows she waking up in A n E she has been found unconscious in the carpark of the hospital. immediately Alex exclaims that she has been kidnapped and raped. The hospital staff are straight to work checking Alex over, running test and the police are informed. However, all is not well, Alex's tests and examinations reveal nothing, in fact they look like nothing has happened to Alex except from a bump on her head. People begin to question Alex and weather she is telling the truth. As time goes on more and more events happen (Don't want to give away any spoilers) but still nobody believes Alex, the evidence is mounting up making Alex look like she is having a breakdown. As the bodies start to pile up can Alex get anyone to believe her they are connected? Was Alex actually abducted or did she imagine it all? Is she having a breakdown? Can Alex figure it out before its to late? This book is one i chose for my bookclub. I saw it on Amazon, i got it in an email with kindle deals. When i first read it i thought it sounded really good, i do love a good psychological thriller. The book was advertised as the most gripping first chapter you'll ever read. This made me slightly dubious as i was thinking well is the rest of the book gripping as well or just the first chapter and this was a point that was brought up in my bookclub. Well i can say i was gripped from the first page till the last. So much so my wife kept shouting at me as i was ignoring her i was so in grossed in the book. I found myself really rooting for Alex and hoping she could prove she was right and find out who had abducted her. I thought as a character she was really strong and a great women. I found myself cursing Patrick for not believing her and not standing by her, i hated him for the way he was behaving. I got really pulled into the lives of the characters. I thought i knew who the killer was but boy was i wrong and I've never been so happy to be wrong about a character before. This book keeps you hooked from the very first word. I cannot wait to see what Liz Lawler writes next. This is defiantly a book you are left thinking about well after you've finished it and will leave you hanging on your seat waiting for another book from the author. Now i do not do this often but i have given this book a 5* rating and it truly deserved it. Have you read this book? Find Liz Lawler on Twitter and let her know what you thought @AuthorLizLawler also find me on Twitter @lusreviews Also as usual get in touch in the usual ways.